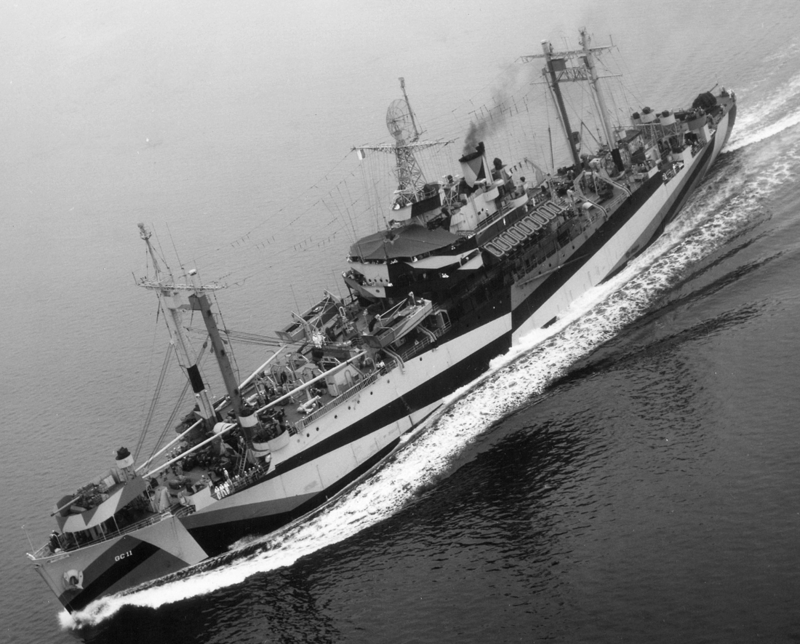 An aerial view of USS Eldorado (AGC-11) from the starboard wearing camouflage 32/8F on September 1, 1944, after commissioning on August 26. The camouflage colors are dull black, ocean gray and light gray. Photo taken by NAS New York. Photo source: NARA BuAer 245715. 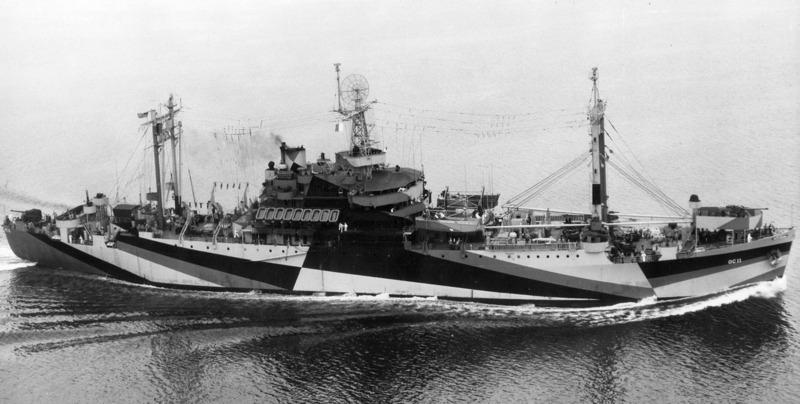 USS Eldorado (AGC-11) again from the port bow wearing camouflage 32/8F on September 1, 1944. Photo also taken by NAS New York. Photo source: NARA BS 70525. USS Eldorado (AGC-11) from the port side still wearing camouflage 32/8F on April 4, 1945, at Okinawa. Photo taken from USS Chenango (CVE-28). Photo source: NARA 80-G-321777.